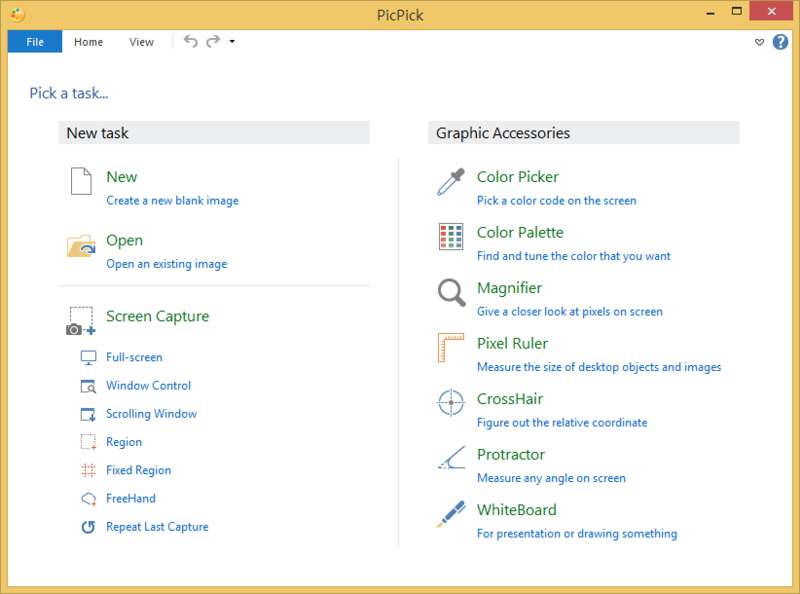 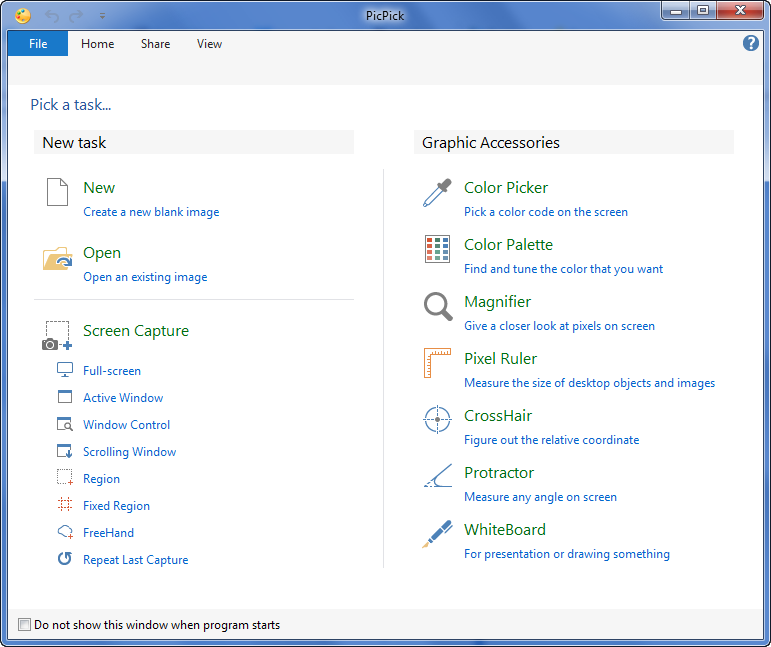 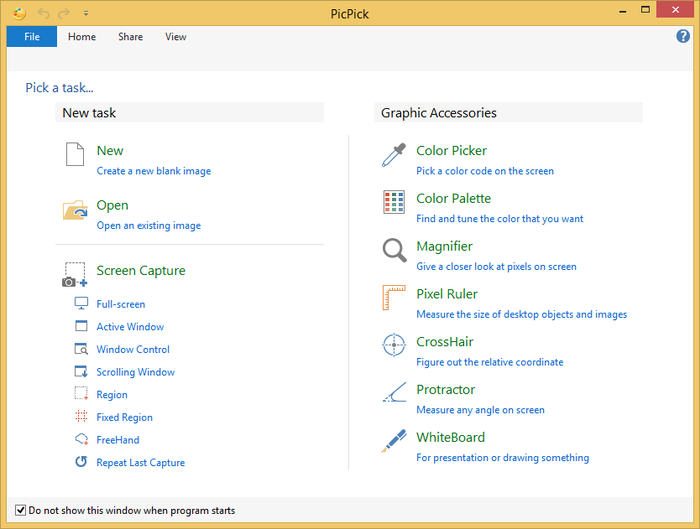 PicPick is a screen capture tool, intuitive image editor, color picker, color palette, pixel-ruler, protractor, crosshair, whiteboard and more. 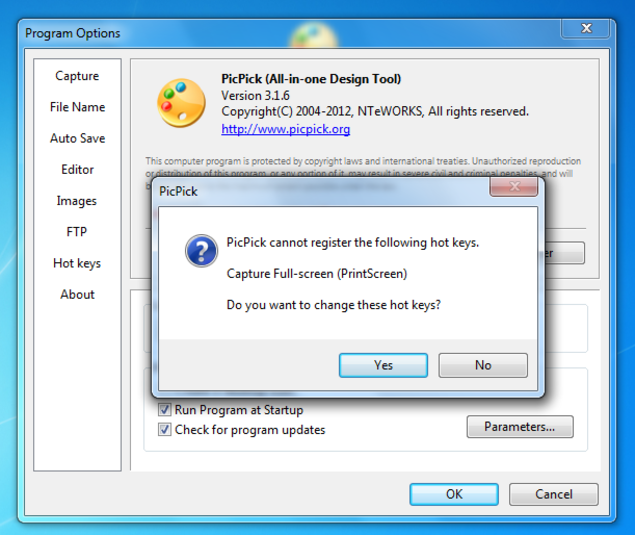 There are quite a few options included in this program for both taking and editing screenshots, making it a good option for all kinds of users. 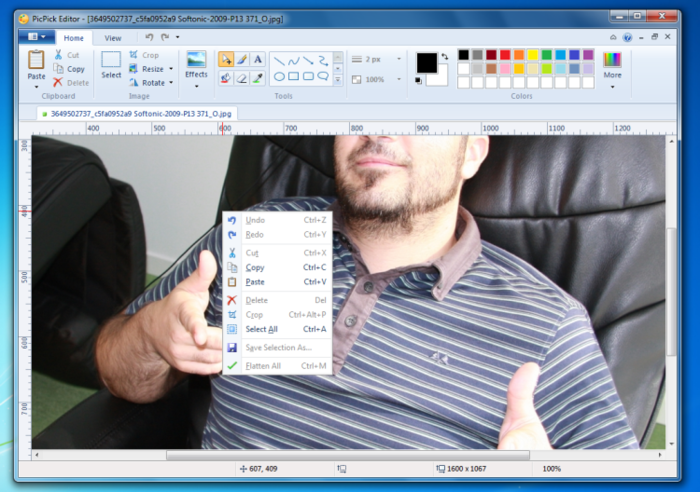 You can easily add effects to your images: drop shadows, frames, watermarks, mosaic, motion blur, brightness control and more. 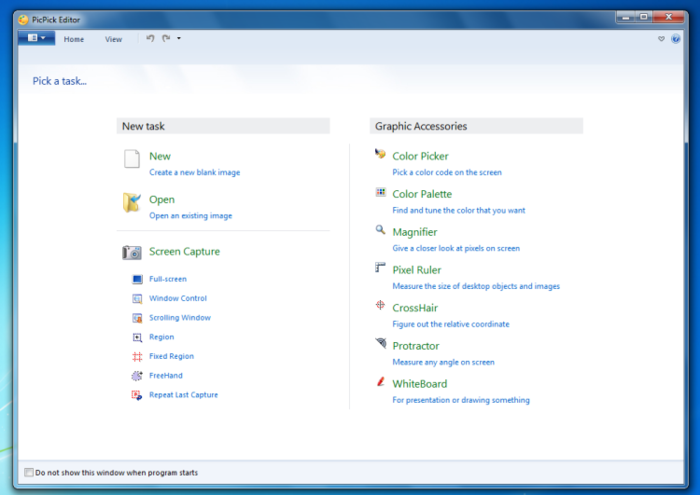 Also you’re able to annotate and highlight your images: text, arrows, shapes and more with the built-in image editor that includes the latest Ribbon style menu. 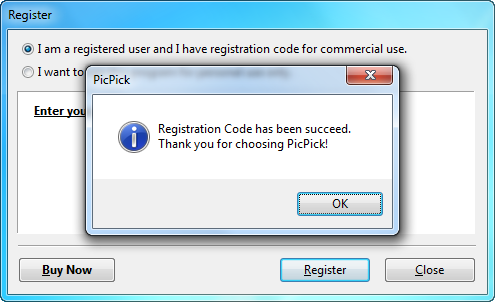 PicPick lets you share your images via the Web, email, cloud storage like Google Drive and Dropbox, and social networks like Facebook, Twitter, and much more.